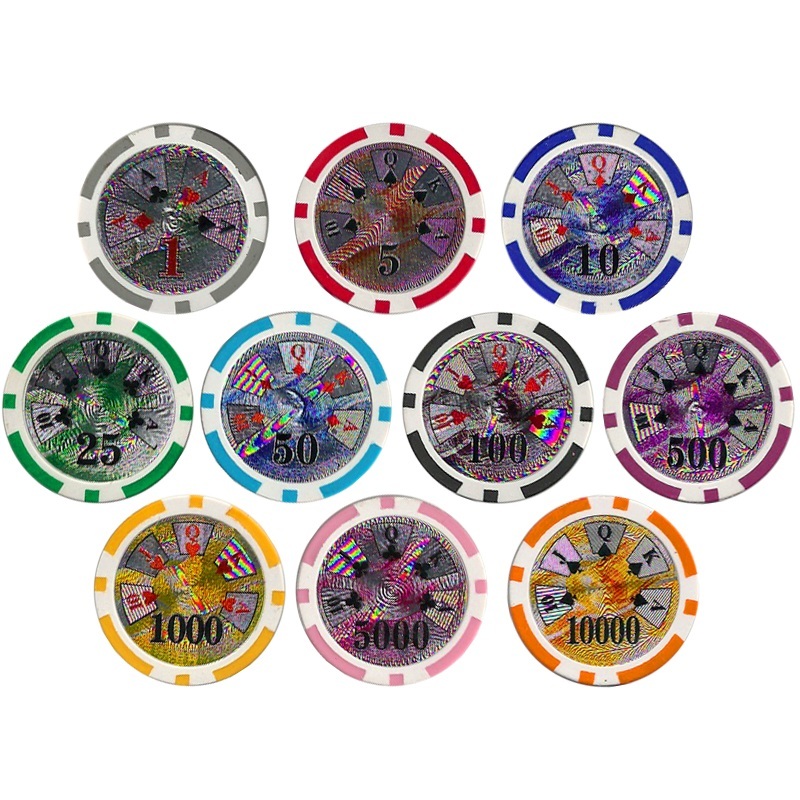 The bulk High Roller poker chips are made with a clay/composite material blend that gives the chip a quality feel and weight of 14 grams. These chips have Laser labels with denominations on both sides. There is an image of a 100 dollar bill in the graphics which also gives these chips the name of Ben Franklin poker chips. 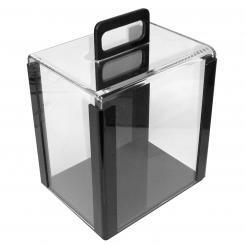 The 1000 Bulk High Roller poker chips comes with ten 100 chip acrylic trays. The High Roller bulk poker chips can be customized. You pick what colors/denominations you want to make up your bulk chip set. Just enter the quantity into the box next to the chip. Must be in quantities of 25 chips.